Whether you compete professionally or just go boating on the weekend, you want an engine that is fully functional. If your boat has a defective outdrive, there is a huge difference in your boat's performance. At Offshore Outdrives, we restore equipment with outdrive rebuilds and repairs. With more than 25 years of experience, we have the knowledge and skills to correct your outdrive problem. Before we do any work, we provide you with an estimate—normally within a few hours. We will take your outdrives apart, re-shim, clean, and inspect them. Service includes replacing worn our parts to rebuild them. Our turnarounds are typically a few days. We try to get your outdrives back to you ASAP. You can either bring your equipment to us, or we can come to your boat and remove the outdrive ourselves. Once the service is completed, you will have to pick up the outdrive from us. Keep your outdrive in top shape with common repairs like seals, bearings, and much more. Typically, when you bring in your unit, we will replace the gears to prevent future malfunctions. We will also replace or repair all broken parts to get you back up and running in no time. 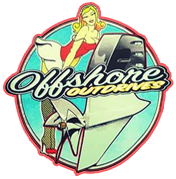 Offshore Outdrives can also repair your boat's crash box or high-performance marine transmissions. We can convert your SSM VI wet sump drive to a dry sump. Less oil in the sump reduces friction while increasing prop shaft horsepower for improved performance.